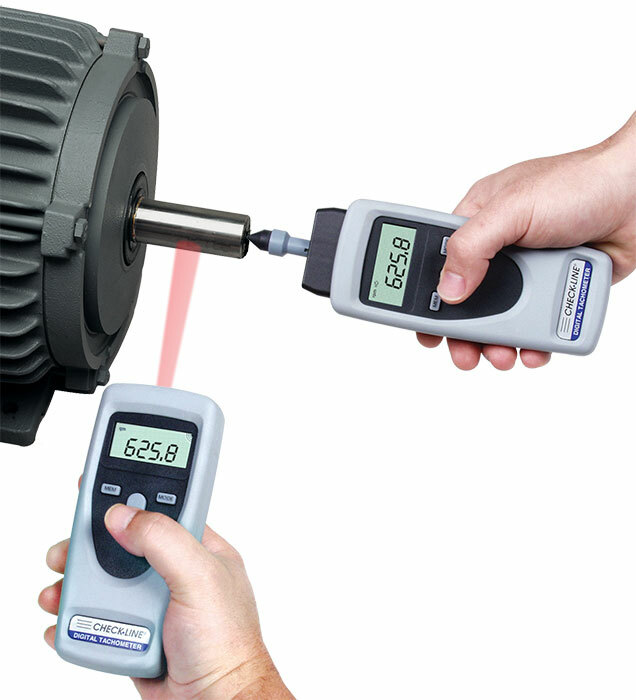 The CHECK-LINE CDT-2000HD Combination Portable Tachometer combines the best features of both contact and non-contact models to accurately measure RPM, surface speed and length. 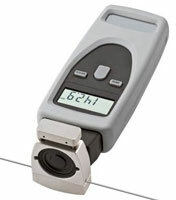 A non-contact only version, the CDT-1000HD, is also available. Click here for data sheet. Contact Indicator shows if contact or non-contact operation is selected. 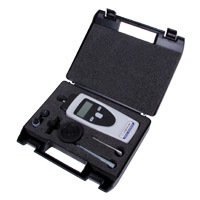 The CDT-2000HD includes the Tachometer, Slide-In Contact Adapter, 6" & .1m Surface Speed Wheels, Cone Tip, Funnel Tip, Extension Shaft, Reflective Tape, Two (2) AA Batteries (1.5 V), Calibration Certificate and Operating Instruction Manual -- all supplied in a foam-fitted, hard-plastic Carrying Case.